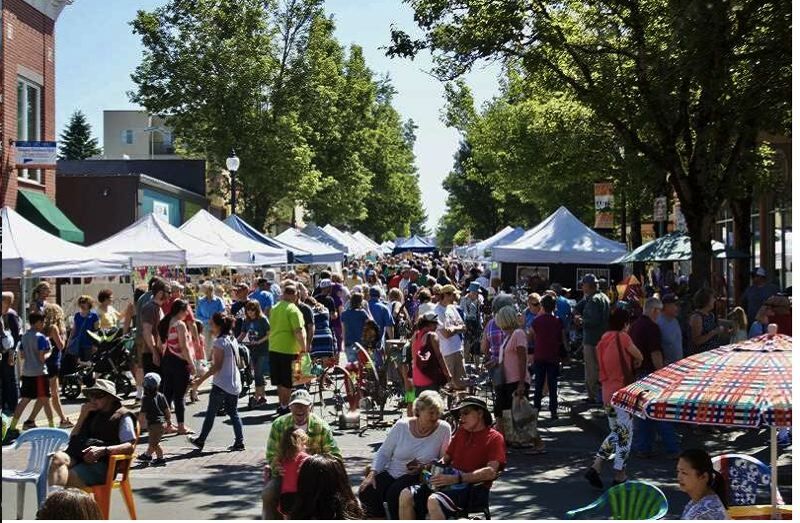 Historic Downtown Troutdale will be rocking from about 10 a.m. to 4 p.m. Saturday, July 21, as Troutdale SummerFest takes over the town, including Glenn Otto Community Park. About 10 a.m., just before the big parade, budding young artists can chalk up the street in front of Mayor's Square with chalk provided by the West Columbia Gorge Chamber, organizers of the festival. An old-fashioned parade marches through town along The Historic Columbia River Highway starting at 11 a.m., and will take about an hour to view. Revelers can then head over to Glenn Otto park on the Sandy River at 1102 E. Historic Columbia River Highway, which will be the scene of entertainment, music, a dunk tank and fun activities for the kiddos from noon to 4 p.m. The children's area will have inflatable bounce houses, face painting, an art zone, a hover archery game and more. A bracelet for children to participate in all the activities costs $5. Bands on tap include Maiah Wynne and Casey Neill. Entertainment is free and there will be food vendors offering tasty treats for purchase. The park, usually closed to pets, will welcome leashed, well-behaved canine friends for SummerFest. This popular festival takes place Friday and Saturday, July 20 and 21, downtown including the Gresham Arts Plaza at 488 N.E. Third St. The fun kicks off Friday night with Art Under the Stars, a charitable silent auction to support the Gresham Outdoor Public Art organization while people wine and dine along Main Avenue with live music. Budding artists of all ages can help Gresham set the world's record for the largest paint party from 9 am to 5 p.m. Saturday in the area of 501 N.E. Second St. Register at greshamoregon.gov/Paint-to-Fame/. Free music, activities, art shows and more will abound throughout Saturday. The Kids Village at the Arts Plaza will have craft stations, face painting and an opportunity to cool off in the splash pad fountain. The Gresham's Got Talent competition will provide a chance to catch local talent in action from 6:30-9 p.m. at the Arts Plaza. For more information, visit greshamoregon.gov/Gresham-Arts-Festival/ for details or read The Outlook's preview at bit.ly/2L7Vzms. Want to take in a wee bit o' Scottish culture, arts and athletic prowess? Head out to Mt. Hood Community College from 8 a.m. to 6 p.m. Saturday, July 21. There'll be piping, drumming, dancing, Scottish athletic competitions and more. No more information was available at press time, but organizers said a schedule will be posted at phga.org.